4 cities, 5 days, 35 speakers, and 350+ brand marketers. The fun doesn’t stop in March for RampUp. This Spring, we traveled across the US with RampUp on the Road, spreading the word of people-based marketing in four beautiful cities: Charlotte, Minneapolis, Los Angeles, and Seattle. RampUp on the Road provides the opportunity to bring the most stellar content and speakers from the March event (you can catch up 2018’s recap here) to regional audiences in a smaller, more intimate setting. And in the spirit of customized targeting, each roadshow’s agenda and sessions are catered to the most relevant local industries and fields from FinServ and Insurance in Charlotte to Entertainment and Auto in Los Angeles. Common topics covered at all roadshows centered around the importance of data (1st, 2nd and 3rd party), the blending worlds of TV and digital, and the creation, implementation, and measurement of a people-based strategy. We love hearing real accounts of lessons learned and success stories straight from the brand marketers facing these challenges everyday and helping to create an environment where they can all connect on the future of the industry. Popular sessions focused on customer-centricity and targeted marketing. 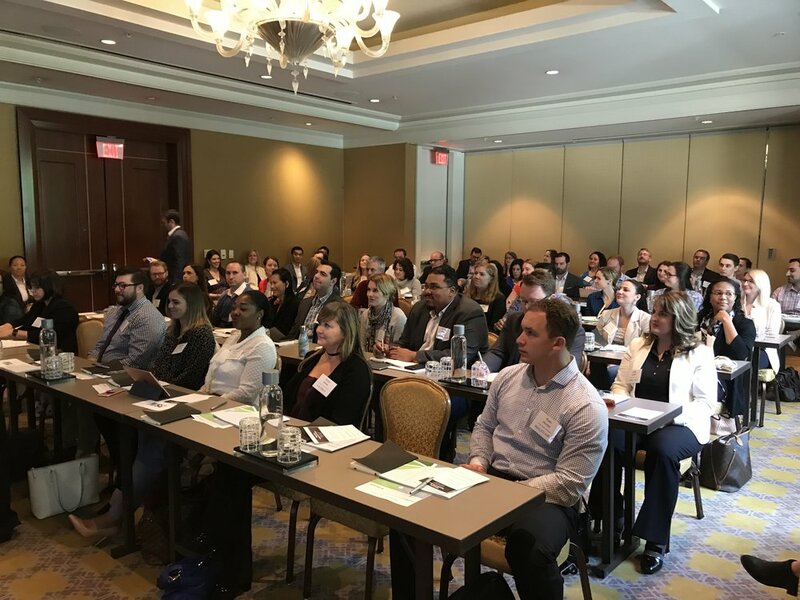 Standing-room-only presentations in every city featured engaging speakers- including Newcombe Clark, Global Director of Rapid Learning at AIG in Charlotte, Erin Gulden, AVP, Director of Content Marketing at US Bank in Minneapolis, and Andrew Christe, SET Data Manager at Southeast Toyota Distributors in LA. The roadshow in Seattle brought a lively discussion among Amy Ball, Advertising Senior Program Manager at REI, Tesäen Chavis, DMP Owner at Uber, and Kyle Roemer, Practice Leader of Analytics at Slalom Consulting in Seattle. We also made sure to incorporate some bonus adventures including test-rides in porsches in LA and catching a hometown Mariners victory at Safeco Field in Seattle. And the US tour continues… Fall is just around the corner. We’re looking forward to hitting four more cities: Chicago, Dallas, Philadelphia, and New York, see you soon at RampUp on the Road! Interested in participating in one of these upcoming events or planning something like it? Let’s connect at events@credpr.com.